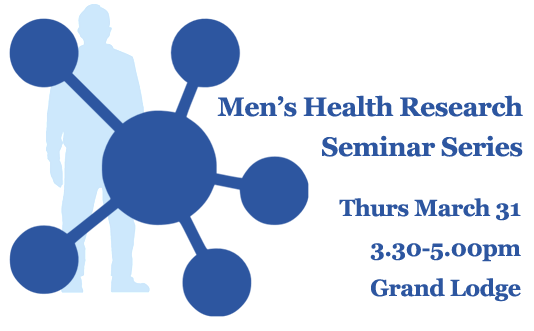 Please join us for the March Men’s Health Research Seminar. Short presentations are to be given by some of our 2015-16 Summer Vacation Scholarship students. Ms Charlotte Gelder “Do Australian men with prostate cancer have access to well-designed websites, with quality content information to encourage regular exercise? This entry was posted in Events, News, Research and tagged seminar, student, summer vacation research. Bookmark the permalink.